As I said Open Country is the second book on the Blood Rose Trilogy, the story is set in Texas during the 1870’s and revolves around three brothers, each one the hero of his own book. This one is Hank’s book, he is the middle brother, the calm and taciturn one and to me the most endearing too. The heroine is Molly, after her father’s suicide and following her dying sister’s wishes she flees Georgia with her niece and nephew in tow because her brother-in-law is abusive and she is afraid of what he may do to the kids. The train that is taking them to California derails and while helping the wounded (Molly has medical training) she finds Hank who apparently is fatally injured and with the help of some people she marries him to get a widow’s compensation. Needless to say that Hank doesn’t die but gets amnesia, his older brother Brady who is concerned not only for his brother but for his pregnant wife, blackmails Molly into moving to their ranch to take care of them, Molly accepts not only because of the threats, but also because she needs the protection. Open Country stands alone fairly well, but if you haven’t read Pieces of Sky I would recommend starting there because the entire plot of that book is explained on this one, there are so many spoilers that it would completely ruin the book for you. I really liked this book, the plot wasn’t that convoluted as the previous one, and the characters were far more likeable. Hank is an alpha male with a heart of gold and he was my favorite brother since he was introduced in Pieces of Sky. But the soul of the book was the heroine. I absolutely adored Molly, is great to see a strong independent heroine in a historical romance, specially a western, I loved how she was all business and nonsense but vulnerable at the same time, she has a profession that she excels at and is none apologetic about it, but she is also wounded. 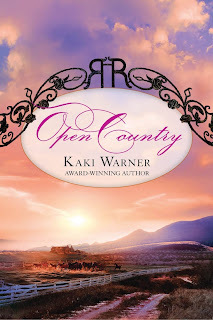 I love well balanced multilayered characters and Kaki warner does this amazingly well with all of her characters. I also loved the kids and the relationship between the brothers -although the third brother Jack is missing the entire book- all the scenes between Hank and Brady were a delight to read. The suspense aspect of the story was also well done, half the book I was dreading the moment Hank would found out about the deception (especially because every three paragraphs or so he actually told how much he hated lies and deceptions). Then there was the danger looming over Molly, the mercenary that her brother-in-law sent to find them is one scary man, all of this adds to the story. Sadly I had two big problems with this book and each one of them dropped one point from the overall grade. They are huge spoilers and so I have to be vague but let’s just say that the hero does something completely out of character and that even though is something quite common on historical romances it was not only unnecessary to the plot but also terrible, and I don’t think it was properly dealt with afterwards, Molly forgives him and all is well, I just didn’t get it and it completely threw me. The second one was right at the end of the book, Molly has a TSTL moment, granted it was an original way to present a very common plot devise but I was a bit disappointed because -taking aside the Hero’s stupid behavior- the book was doing really well and to me Kaki took the easy way out. As a whole I liked the book and couldn’t put it down until I finished. I would not only recommend it but I will keep reading Kaki’s books starting with Chasing the Soon the last book on the trilogy. I know that there are some things I am not going to like but I do think is worth it. If you can see past through those bumps on the road I mentioned you are going to love this book, but since I can’t see past them I can’t give it more than a 3. 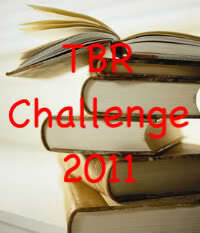 Maybe the next book will be different; I will let you know once I finish it. Molly McFarlane is as desperate as a woman can get. Forced to flee with her late sister's children, she must provide for her wards while outrunning the relentless tracker the children's vicious stepfather has set on their trail. Out of money and with no other options, she marries a man badly injured in a train derailment, assuming when he dies, the railroad settlement will provide the money they need to keep moving west. But there is one small problem. The man doesn't die. Hank Wilkins doesn't recall the accident he barely survived--and he certainly doesn't remember marrying Molly. But as he slowly recovers at the Wilkins ranch in New Mexico Territory, the idea of a real marriage takes hold...until his memory returns, and that fragile trust is shattered, and the tracker follows Molly to the ranch. Then things really start to unravel.